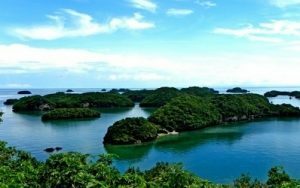 For those wanting to get away from the stress of city life, a trip to Hundred Islands National Park is an excellent choice. This group of 123 islands is located 150 miles north of Manila near Alaminos City, there in western Luzon. Out of the group, only three islands have been developed for tourism; these include Governor, Quezon and Children’s Island. Whether you are a pleasure seeker or are seeking peace in beautiful island surroundings, you have come to the right place. From Manila you can catch a bus going to Alaminos City, on bus lines such as Victory Liner or Five Star. Once you arrive in Alminos City, head to Lucas Wharf. You will need to register and pay the entrance fees based on your length of stay. The major islands of Governor, Children’s and Quezon can be reached via boat in 30 to 40 minutes. Is one of the main islands. Governor has a deck that offers a panorama view of the surrounding islands. The beach is good for swimming, snorkeling and Kayaking. Lastly, this place has twenty-four hour electrical service, provided by a generator. This island is known for being family friendly. The waters near the beach are just right for small children to wade or swim. On Children’s you will find facilities and rental equipment available. Like other islands this place has white sand beaches & clear waters. Also, there is an underground pool called Imelda Cave. This is a famous jump of twenty-feet in to the water below. Lopez is known for its powdery white sands and for being a great sunbathing location. Other activities include snorkeling and kayaking. If you are into bird-watching, you may see species such as the Yellow Bellied Whistler, Pied Bushcat or the Island collared dove. 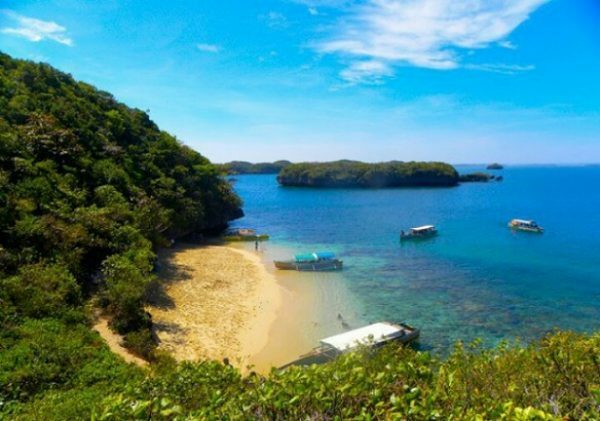 Is where beach-enthusiast like to gather and is one of the most visited islands in Hundred Islands National Park. You will find cottages, huts, grilling and dining pavilions for rent. Also swimming, snorkeling and kayaking are popular pass times. Besides these water-sports, visitors should take time to dive and see the coral & giant clam garden. For the bird-enthusiast, consider visiting Cathedral, Lopez, Kamantiles, Heron or Bat Island for the chance to see more than fifty species of birds. For the cave-enthusiast, a few have been identified and given names based on rock formation and legend. Some of the popular ones include Cuenco, Scout and Quirino Island. The caves in Hundred Islands National Park are an Eco-tourism attraction and a great destination for everyone to see.